Iron Fist and Sunny Days - Reclusive Fox ""
What an incredible weekend we have had. 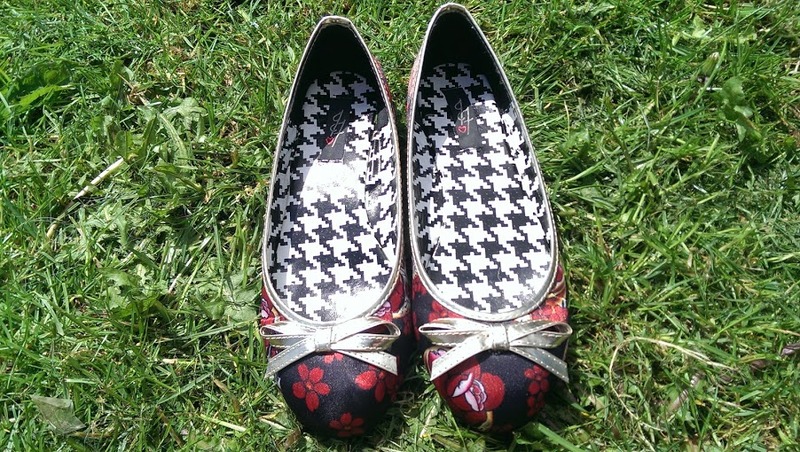 The sun was shining, the wind even died down for a day and I managed to get out to top up on some essential Vitamin D and try out my Iron Fist flats. I missed the whole ballet pump trend; I have always been a Converse type of girl, simply because where I live there is nothing but hills. I go to the shop I walk up a hill, I visit the Dr there’s a hill in between, I go down the pub…Yes, hills are everywhere. It’s beautiful but if you walk everywhere like I do it does limit your footwear options/opens you up to a world of pain. Having said that last year I fell deeply in love with Iron Fist. It was around the time of their Autumn/Winter sale and I had a bit of extra cash so I stocked up on T-shirts for me, my teenage daughter and my boyfriend. Then my daughter and I began lusting over the shoes. Have you seen them? They are glorious! We treated ourselves to a couple of pairs of heels, and I mean sky high heels! They were really only for the occasional night out and for show as both of us don’t like the idea of crippling ourselves on the hills in the name of fashion. Then I spotted some of the flat ballet pumps, “Slow Dance”. They were bold, bright, brave and screamed Iron Fist rocking chic. I had to have them! In the sale they were under a tenner I think but since then they have been sat in their box, until now. The sun is shining, I am getting my summer dresses, skirts and shorts out and it’s time to rock it with my Slow Dance shoes. This weekend I wore them everywhere, I still find them tricky (Converse have spoiled me with comfort and walking I think!). Curling the toes to keep them on is a trick I have yet to fully master. 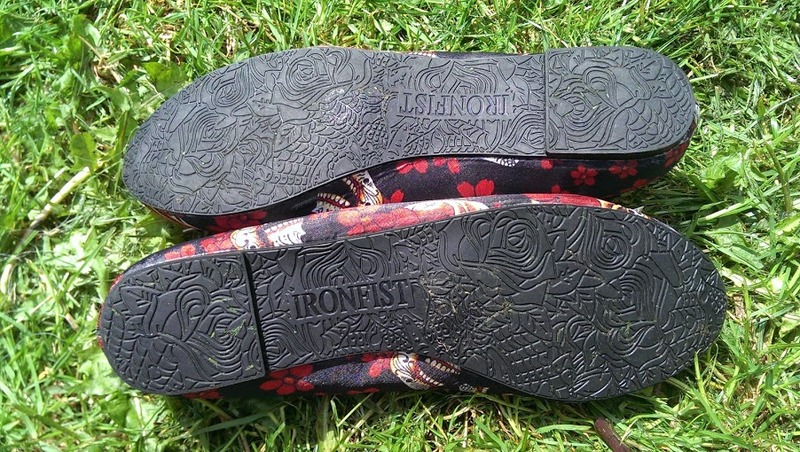 That aside I can tell you that Iron Fist shoes make me happy. When I am stressed out waiting in a queue I simply look down at my pretty awesome shoes and I feel a little bit better, just like magic. They were comfortable too. The first day I walked up the shops and I did get a blister but I was expecting it and went fully loaded with a plaster (is that my age creeping in there?). It really wasn’t too bad though and I haven’t got another one since so I am not going to complain about that. I often get blisters because I have super high arches that look great but cause me grief! Now I am not a fan of gold but even the gold bow is utterly adorable don’t you think? Sadly Slow Dance are no longer available on the Iron Fist website (but you can find them elsewhere online). Having said that there are loads more gorgeous designs and plenty of bargains to be found on their website right now, like these beauties. The Slow Dance flats and all the other shoes I have from Iron Fist have one thing in common, well two actually. Firstly they have all been quality. 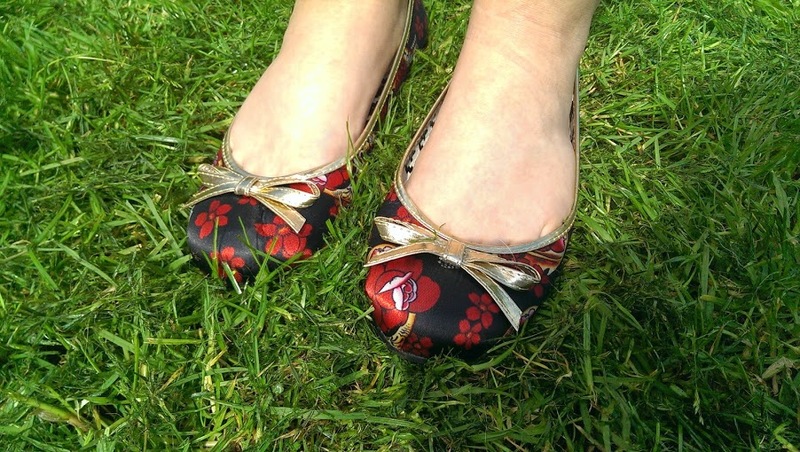 There’s no glue showing, the fabric and shoe material has been wonderful to touch (sound like I have a shoe fetish going on…) and they have been able to withstand grassy verges, gravel pathways and all the other off the beaten track walkways I venture on from time to time). Secondly the designs are just incredible. If you have a unique personality and you’re not afraid to have people look at your shoes (in either awe or disdain) then you’re not going to be disappointed. Disclaimer – Not a sponsored post or official review (if you didn’t guess) I just wanted to share my Iron Fist Love Fest with you. Those flats are beautiful! I don’t know Iron Fist at all, will definitely have a look now!